"Chelsea have been better than Manchester City so far this season since they changed system." 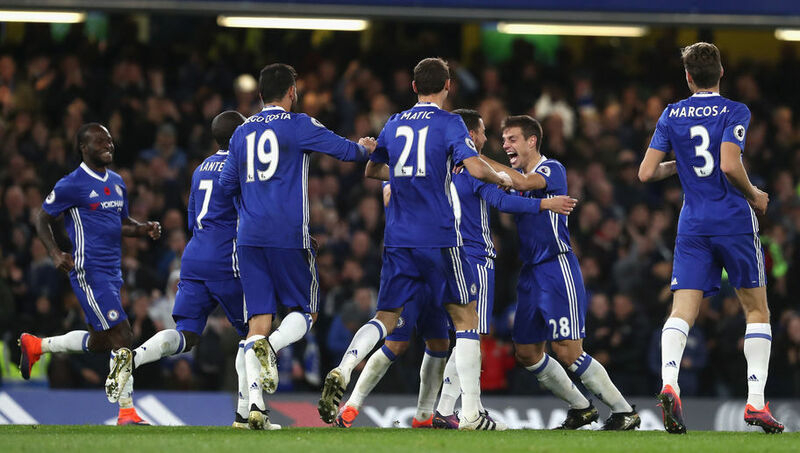 Having received plenty of plaudits for the way Chelsea are playing in our new 3-4-3 formation, one Sunday Times Journalist has claimed that Chelsea are playing better than title favourites Manchester City in these last five games. It's still early days in the title race and being totally honest, I would be happy to accept a top four position right now if it was offered to me, so it's stupid to make any sort of predictions. It's after the busy Christmas and New Year period that you get an idea of who is in prime positions to challenge for the title but as we have seen in the Premier League, anything can happen. However, Chelsea are on fire right now and that was made evident by the demolition of Everton in a performance hailed as one of the best in Premier League since it's introduction back in the 90's. "There is a whiff of the early Mourinho days at Stamford Bridge at the moment, The team looks like a machine, as it did when Mourinho first arrived at the club. The players know exactly what they're supposed to be doing. Nobody has won the league playing three at the back and this is the best team I've seen play three at the back. It's not just the system, it's the way Conte has the players buying into his philosophy. Eden Hazard is what he was two years ago, probably more so because he's got even more freedom. It's really impressive management, he's only had 11 games and Conte already looks embedded at the club. Chelsea have the squad depth the rival Manchester City - they've gone on this run without Willian, Michy Batshuayi and Oscar really being involved. They don't have Champions League football, they look superbly conditioned and they have a manager who refused to get carried away by the victory over Everton. At the moment Chelsea have been better than City so far this season since they changed system." Chelsea have a run of three games after the International break that will define just how far the team has improved for the change being made. We face Middlesborough away followed by Tottenham at home and finally Manchester City away which as we know are hard, hard games. Place your bets on these at FreeSuperTips and get behind Chelsea to continue their impressive form. Despite beating the likes of Leicester, Manchester United, Southampton and Everton, the two games against Tottenham and City will give us an indication of where we are in the race for the top four, or even the title race. It's early days but Chelsea are playing some of the best football I have seen in years!